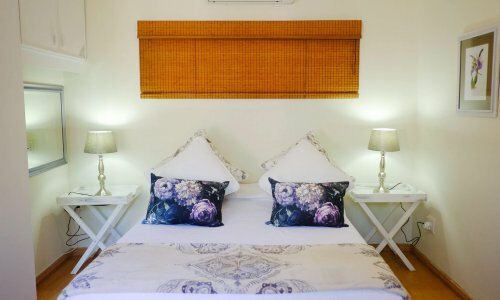 The Santa Lucia team welcomes you to their award winning Santa Lucia Guest House, offering luxury rooms with home comforts and personalised service. 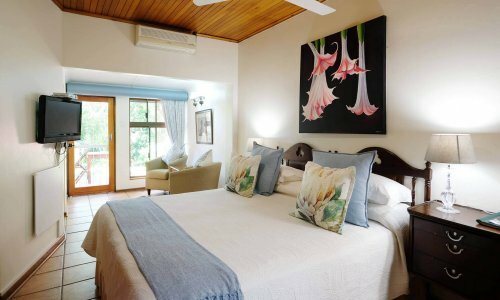 This unique home and guest house is set in a tranquil, subtropical garden with large shady trees, prolific birdlife and a swimming pool. King-size bed, which can be converted to twin beds on request. Can book room individually, or combined with Room 4 to form a family suite with an interleading door. Shower. Private patio. King-size bed, which can be converted to twin beds on request. 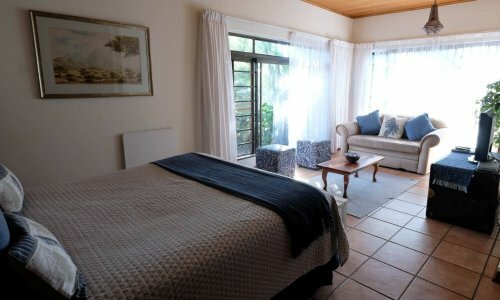 Both Room 2 and Room 3 have patios leading to the garden and swimming pool and are extremely popular. Shower. Queen size bed. Can be booked individually, or combined with Room 6 to form a very large family suite with inter-leading door. Shower and large bath. Direct access to elevated deck. Queen size bed. Shower, bath and toilet. Can book individually, or combined with Room 6 to form a very large family suite with inter-leading door. Direct access to elevated deck. 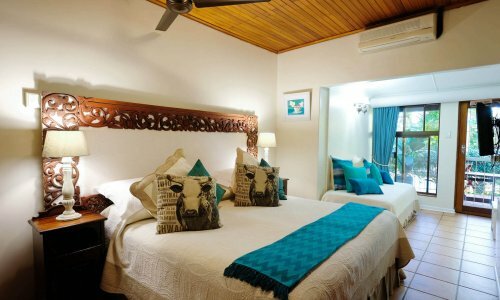 Family suite with King-size bed which can be converted to twin beds in the main bedroom. Includes large lounge/dining area and small kitchen. Additional sleeping space for one or two available in the lounge area. 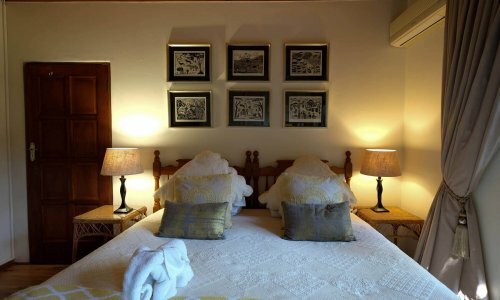 Can be booked individually, or combined with Room 5 to form a very large family suite with inter-leading door. Shower. Direct access to elevated deck.